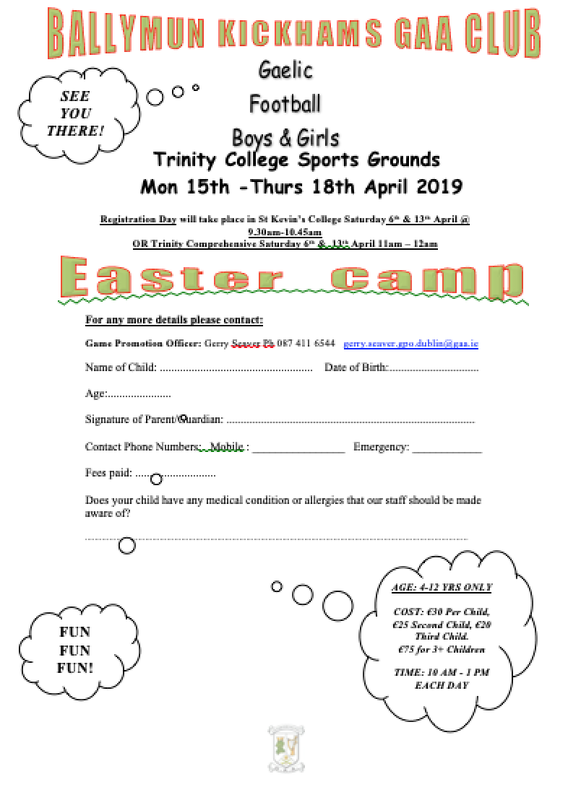 PLEASE NOTE: Venue for camps on the flyer is incorrect, it takes place in St. Kevins school, Ballygall road east. Hi I am looking for a placement for my 2 girls to train. One is 9 and she is on the Virgin Mary girls school team joined jus this year. 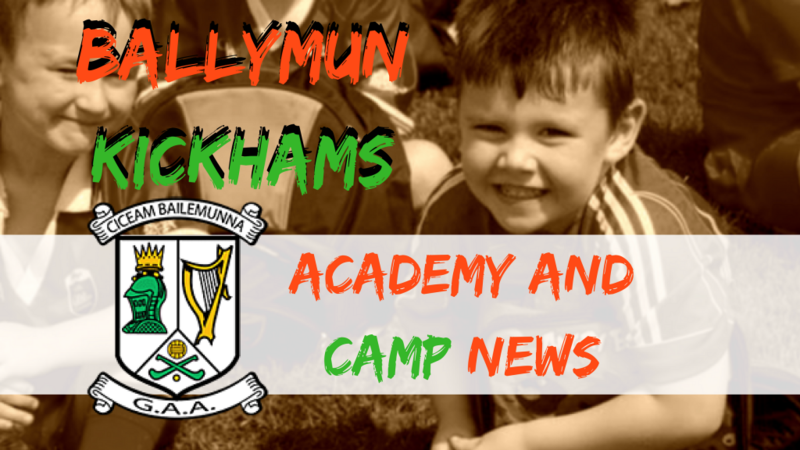 She is looking to train more and the school teacher recommend ballymun kickams her sister is 8 and will be joining the team next year. 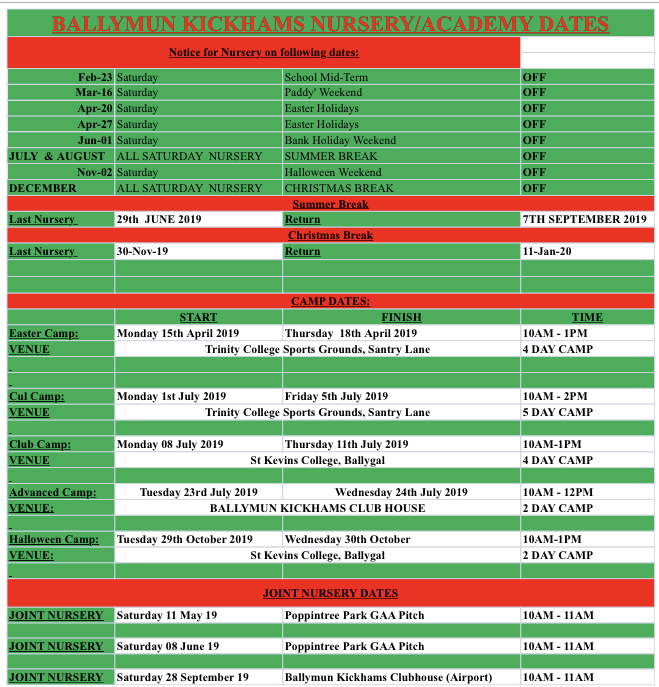 How do I go about joining both girls for training on a team with ballymun kickams.